She-Ra is from an odd period of pop culture at least to me: my law school days. When I was in college, music and movies and television played a large part in my life. Later after I got married, pop culture again became prominent albeit with a very young skew; let’s just say that I knew every line of dialog from every Barney episode by heart. But the mid to late 1980s is a desert for me when it comes to pop culture. While I was vaguely aware of something called Masters of the Universe, I didn’t know much more than that there it included the characters He-Man and She-Ra. Now, thirty years late, I finally realize She-Ra is actually a Bible hero. The twin villages stood two miles apart, one on the heights and one below in the valley, along the road from Jericho on the Jordan River to the Mediterranean Sea. (Bible Hub.) Whoever controlled this route controlled the center of Canaan. It turns out Joshua and the Israelites had more than one good reason for wanting to take over that part of the country: Beth Horon was theirs to begin with. This genealogy provides the clues. Ephraim was the grandson of Jacob who had adopted Ephraim as his own, giving him equal standing with Judah and Levi and the other sons of Jacob. Even though Ephraim had many male descendants it was given to Sheerah to establish these towns, exercising authority usually ascribed to men in those patriarchal times. 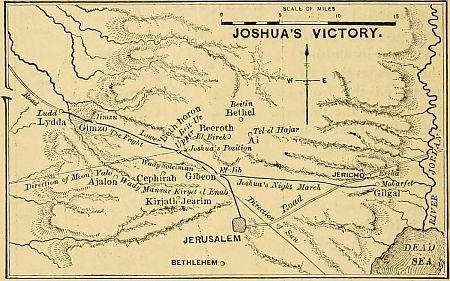 So when Joshua led Israel into Canaan after centuries in exile in Egypt, the first city they took was Jericho on the eastern border of Canaan and then they proceeded west to the sea, making sure to capture the twin villages guarding the center point of this important trade route. We see that Upper and Lower Beth Horon are later allotted to the tribe of Ephraim as their territory to inhabit in the Promised Land. (Joshua 16:5.) And why not? After all, Ephraim’s own daughter created them, and I would imagine the people in the tribe of Ephraim – men and women alike – wouldn’t let anyone forget it. They probably looked on Sheerah as one of their heroes. She’s certainly one of mine. It’s right there in the Bible. 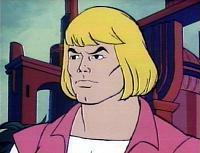 This entry was posted in Uncategorized and tagged Beth Horon, Conquest of Canaan, Ephraim, He-Man, She-Ra, Sheerah. Bookmark the permalink. Thanks for reminding me of Sheerah, Tim. I recall being surprised last year when I read that she built Upper and Lower Beth Horon. I had a “Wait. What?” moment. I also recall being surprised by Deborah years and years ago. But I was even more astounded when I asked “What about Deborah?” during a Bible study discussion about male leadership and got the answer, “She was made judge to shame the men.” Um, where is *that* interpretation supported in the text? On Sheerah, one of he commentaries I read didn’t even bother trying to explain away her leadership by saying it was to shame men. The commentator just said the text is wrong and that Sheerah was actually a son and not a daughter of Ephraim because no woman ever could have done what she did. The lengths some people will go to in fitting the Bible to their own limited conceptions of what God can do through his people, women and men both. “The commentator just said the text is wrong…” Dangerous territory! This from a guy who probably argues for the inerrancy of scripture, especially those verses that he can interpret as putting him in charge. Good grief. I suspect as much, Keri. Thank you for writing about Sheerah. It’s amazing to me that I have read through the Old Testament at least twice, have taken an Old Testament Seminary course, and still don’t remember reading about her! It proves to me you can never stop learning. I see that all the time too, Sarah. I never know what’s going to jump out at me no matter how many times I’ve read a passage. And isn’t Sheerah someone who jumps off the page now that you notice her? Wow, I hadn’t noticed Sheerah before, either, and I’ve read the Bible through more than a few times. I think this is one Biblical name that should make a comeback for baby girls’ names! Great idea for a name craze, Laura. There would be classrooms full of Sheerah S., Sheerah D., Sheerah M. and all the other little Sheerahs running around. Good stuff Tim! I can just imagine Wayne Grudem trying to deconstruct Sheerah as he tried to do with Deborah and Huldah in his lengthy tome Evangelical Feminism and Biblical Truth. He does it (to those who will swallow it) with smoke, mirrors, circular reasoning, and special pleading. Bless Providence for the internet because more and more folks in Christendom are beginning to think and compare for themselves rather than what somebody tells them they must think. Any time I read about someone doing something the Bible considers noteworthy – like Sheerah being noted as a daughter who established three communities – and then someone says “Well, it wasn’t really like that”, I can’t help but think the person got it wrong and the Bible got it right. Awesome story… I love Sheerah! I remember She-Ra from Masters of the Universe (loved her)! lol Thanks for remembering the real Sheerah among so many other ezer-rich women running, dancing, singing, building, fighting, judging, preaching, teaching, serving, prophesying, leading with men in God’s word. You listed some of the wonderful things God’s women have done through the ages, Amy.